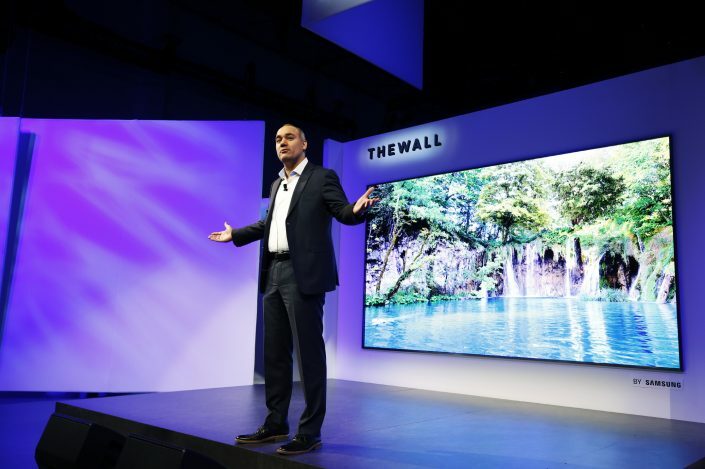 Samsung Unveils “The Wall,” the World’s First Modular MicroLED 146-inch TV – Samsung Newsroom U.K.
LAS VEGAS, NV – January 7, 2018 – Samsung Electronics Co., Ltd. today introduced “The Wall” – the world’s first consumer modular MicroLED 146-inch TV – at its annual First Look CES event. The modular, self-emitting MicroLED 146” TV display was featured alongside Samsung’s latest innovations in display technology, demonstrating how television is evolving to offer consumers an outstanding viewing experience while acting as a centralised connected smart hub to enhance everyday life. The MicroLED technology featured in The Wall eliminates the need for colour filters or backlight, yet allows the screen to offer consumers the ultimate viewing experience. Also, the MicroLED screen excels in durability and effectiveness, including luminous efficiency, the light source lifetime and power consumption, setting the standard for future screen technology. 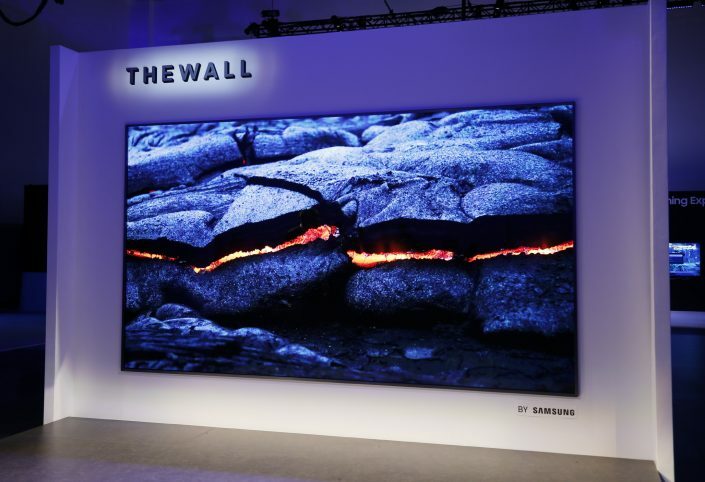 Featuring a module-based, bezel-less design, “The Wall” also exemplifies how consumers can customise their television sizes and shapes to suit their needs. The screen can adapt to serve different purposes, such as creating a wall-size display for multiple spaces. Samsung showcased 2018 Samsung Smart TV’s enhanced connection and convenience functions at the First Look event, including Bixby*, SmartThings and Universal Guide.